St. Anne’s-Belfield School has forged its own path in preparing students for college. We take great pride in maintaining a strong program in the traditional disciplines that ensure our students can read critically, think keenly, and write clearly. Within that robust foundation now is an array of signature programs, new avenues that build upon our landmark teaching and curriculum and allow students to develop new skills or to grow existing skills in novel ways. 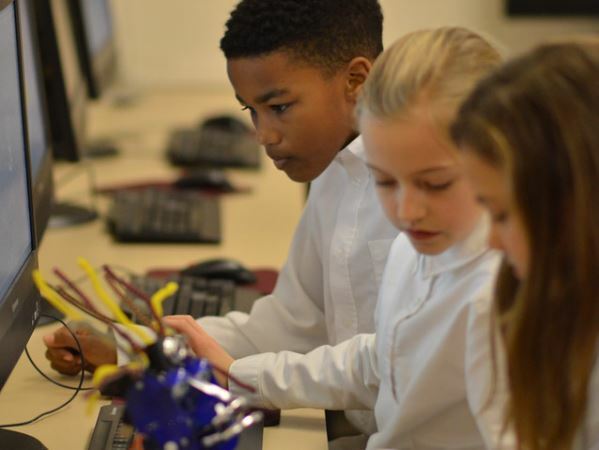 Beginning in Kindergarten, our 1:1 Program ensures that each of our students has access to a device when an assignment requires one – and if an assignment requires one. Our School uses a mix of laptops, tablets, and other pieces of technology when there’s a need for one or even several. Students in the Learning Village Grades K - 4 also take part in FAB Lab, a weekly deep-dive into project-based learning. The habits our youngest students learn in this student-directed process help them as they tackle bigger academic challenges later, including our Computer Science Program. 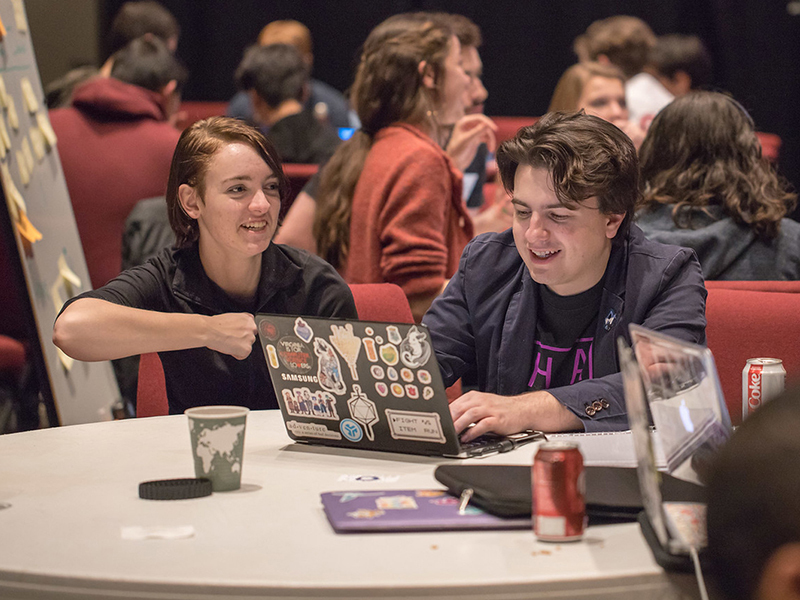 This initiative includes instruction in coding and software development, but fundamentally students also learn computational thinking, a 21st century skill that can also inform English and history studies. Our Singapore Math instruction in Kindergarten through sixth grade provides students with math study that goes beyond memorization of math facts. Now our students learn how math works, and in learning this process, they will be best prepared truly to think through algebra, geometry, and calculus study in our integrated math sequence starting in eighth grade. Much has occurred at St. Anne’s-Belfield in our history of more than a century. Yet we continue to evolve as the world does. Our signature programs seek to extend our academic offerings to capture the best of what we’ve always done to enhance where our students’ learning will go. No longer do our grades seven through eleven students learn discrete content exclusively in English, history, and religion courses. Instead those disciplines have been organized into Humanities classes that, in age-appropriate ways, increasingly blur the lines between subjects. Here students are encouraged to put together separate intellectual content into a complex whole, understanding better historical movements as they are reflected in literature, art, and spiritual thought. 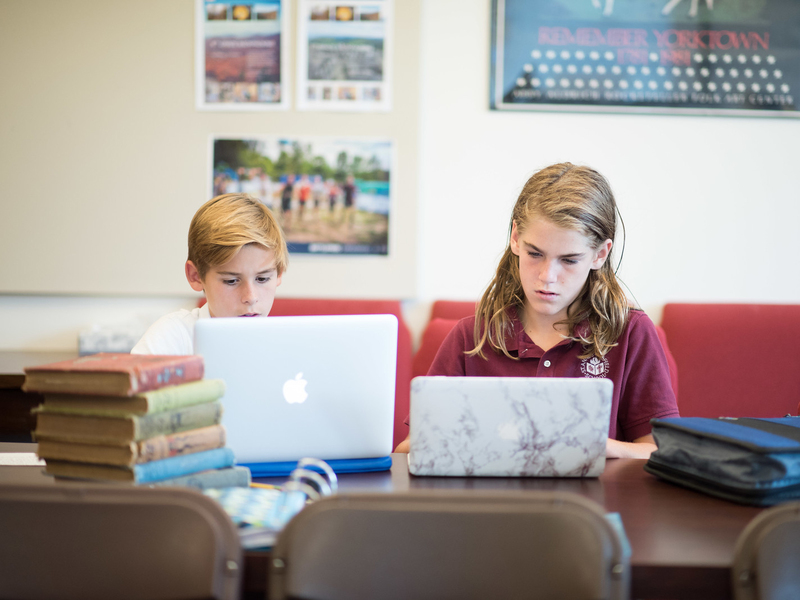 All Upper School students take an Intensives class each year.These three-week long classes are thoroughly immersive in a small-group setting. Often these Intensives classes focus on a subject indirectly related to our curriculum. Examples of classes include forensic science, debate, logic, cooking, wildlife management, and race and gender studies. Working alongside these programs are co-curricular opportunities in which students can take part to complement our curriculum. Destination Imagination teams and InvenTeam, Renaissance Reading, and SKOLA are just a few of the options for our students across our School divisions.